Nathaniel Parker Willis once wrote "There they stand, the innumerable stars, shining in order like a living hymn, written in light". 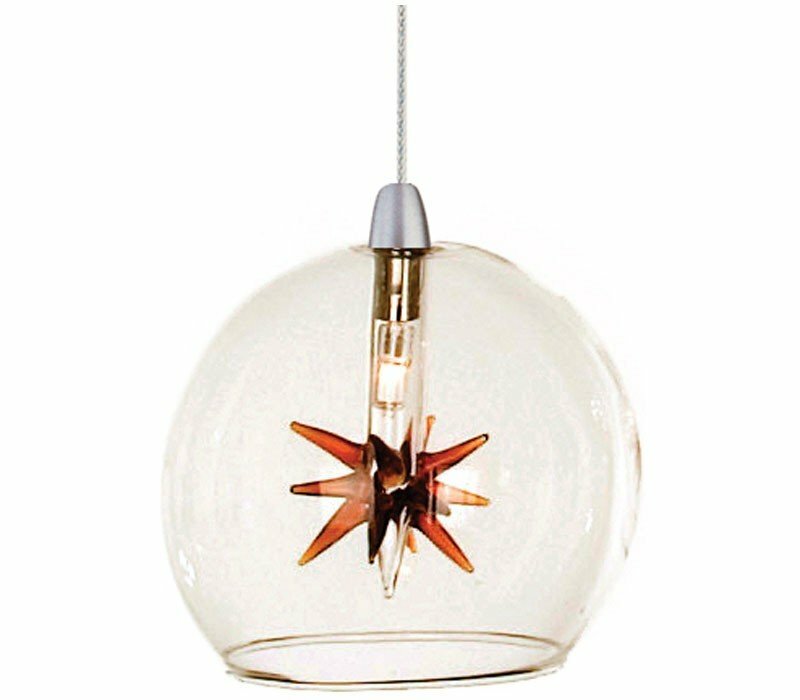 The Starburst collection evokes a story with the amazing multi-light pendants available in clear, blue, green, amber or violet. 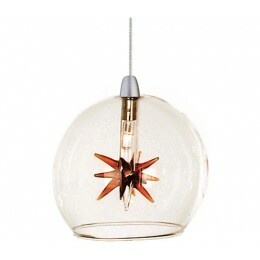 Each burst of color is suspended within its own glass globe, adding to the unique tale of the design. Chrome hardware and a satin nickel finish canopy completes each structure, adding an essential touch to enhance any designers' space. 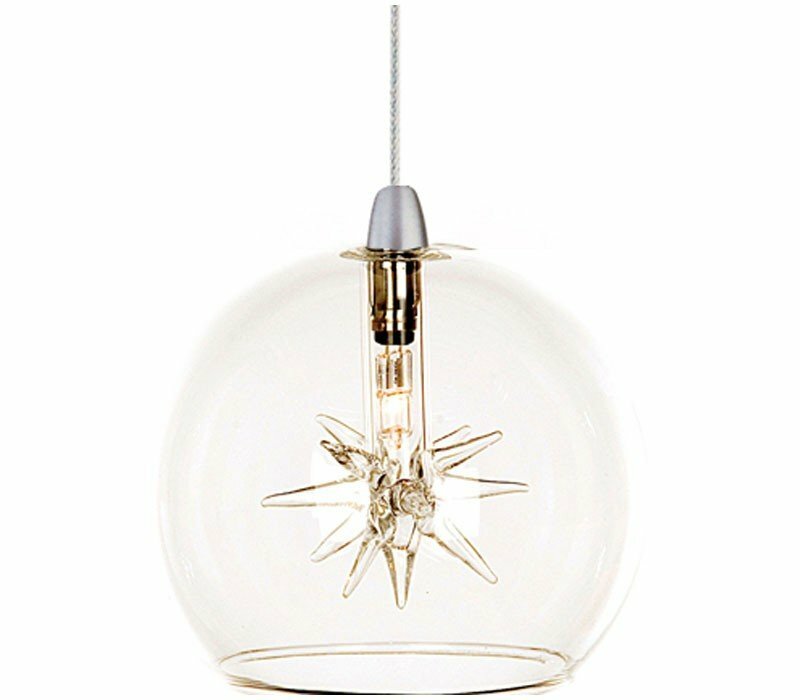 The ET2 EP96080-24 Starburst collection Pendant Lighting in Satin Aluminum uses Xenon light output and brings Modern style. This item is 4"H x 4"W x 4"L. The wattage is 20. 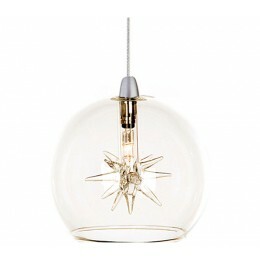 The ET2 EP96080-24 requires 1 bulb (included). Additional Information: Shade-Clear.